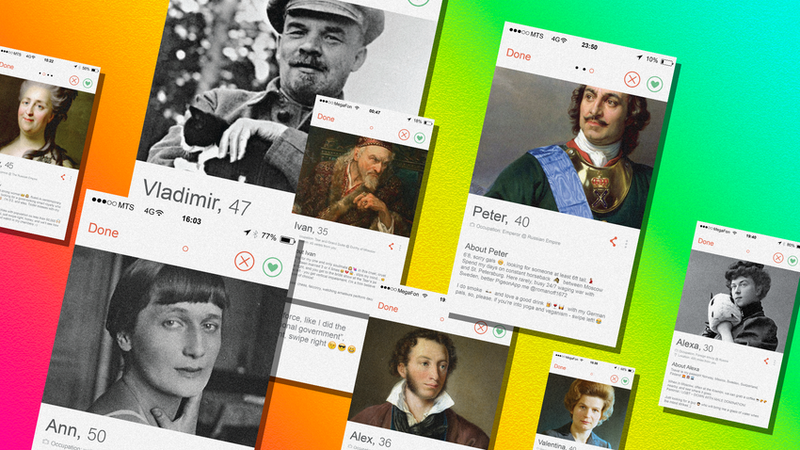 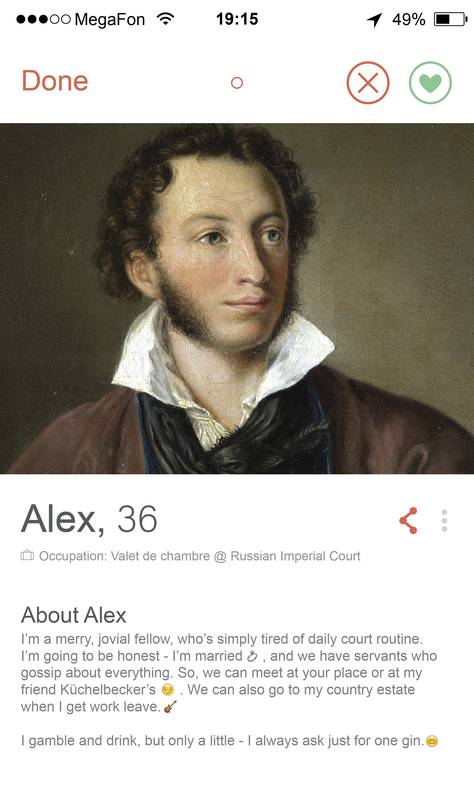 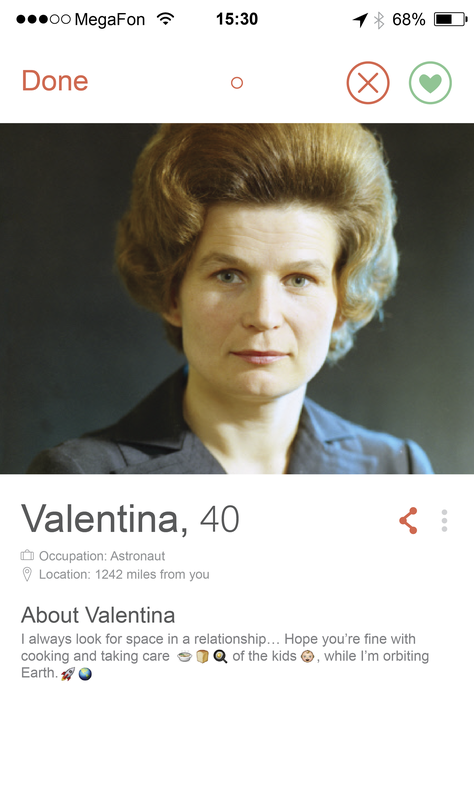 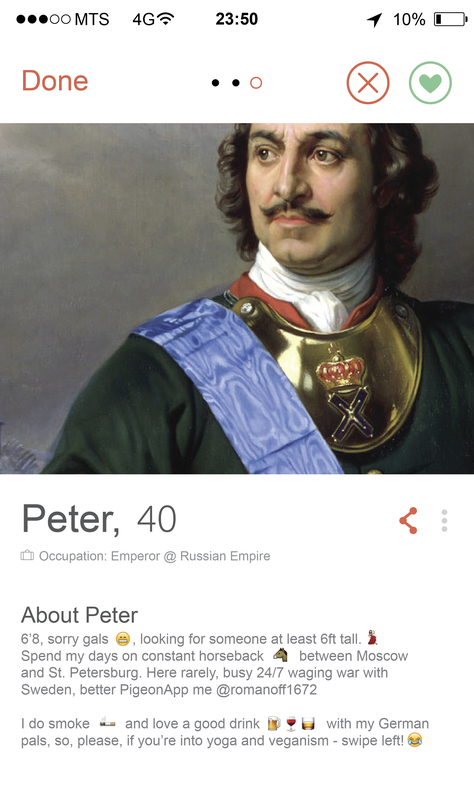 What if... history’s most famous Russians used Tinder? 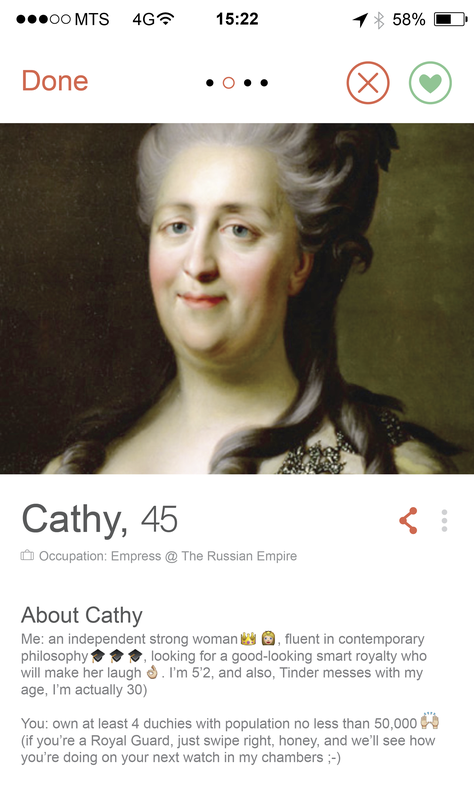 Empress Catherine had multiple matches on the waiting list. 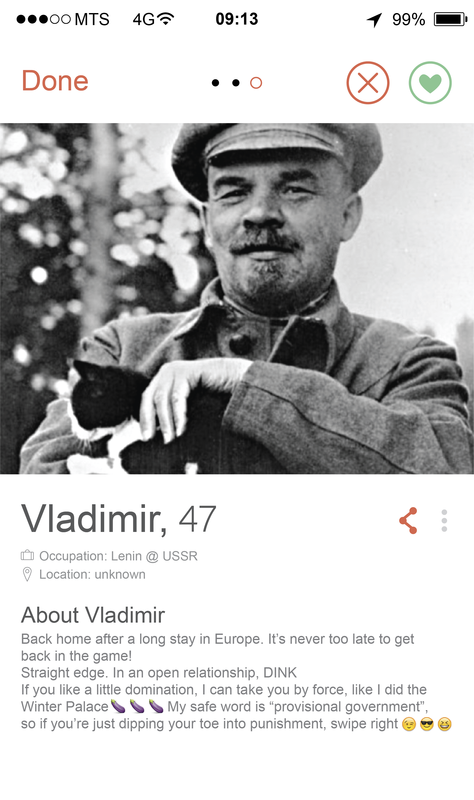 Lenin would like you to join him for a romatic revolution. 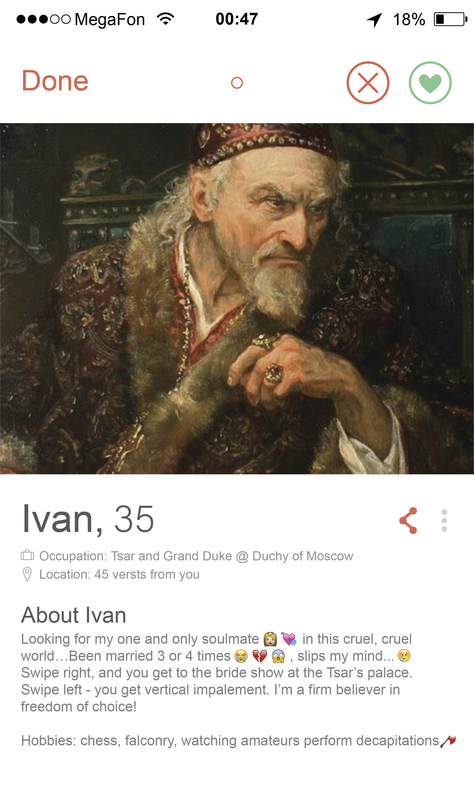 And you definitely wouldn’t want Ivan the Terrible to report your profile as inappropriate! 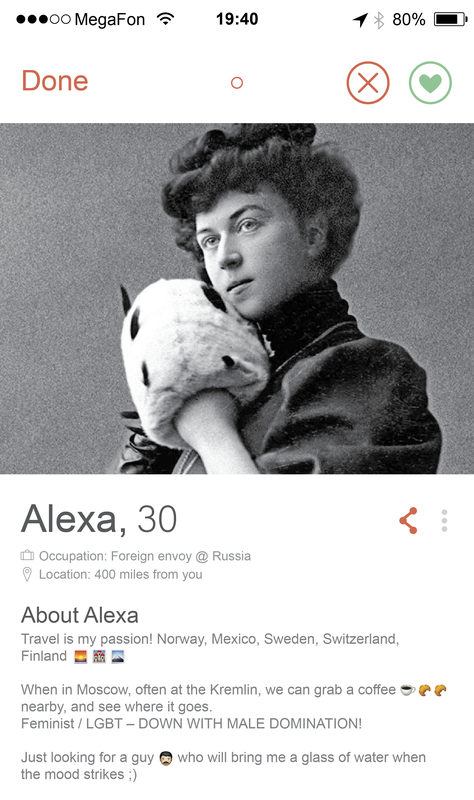 Quiz: Can you tell an Irish pub in Ireland from an Irish pub in Moscow?